We are getting bees. I just got off the phone with Gib from Sunrise Honey in Clayton, Washington. He’s going to be making a delivery to Winthrop during the second week of April. I’ll be meeting him in Pateros to pick up a couple nuc’s for our farm and for anyone else in our area who wants them. If you are thinking about bees and don’t know if you should go with a package or a nuc (nucleus hive) let me explain why I’m getting a nuc. 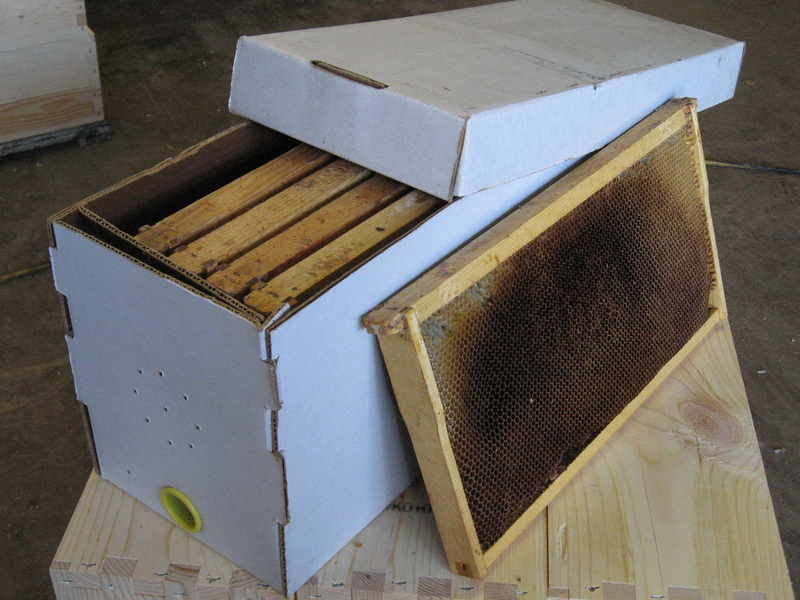 A nuc from Sunrise Honey is a miniature functioning beehive with 5 deep hive frames. It has a queen, 3 lbs of bees, and 5 frames of brood. This puts you weeks (close to a month) ahead of a package of bees. Packages are usually just 3 lbs of bees and a queen in a little separate cage. They really aren’t a whole lot cheaper and the success rate is much lower. Let me know if you want to receive a delivery of bees with me. They are $110. No deposit is required unless we have more than 20 nucs. They are Italian/Carniolan or full Carniolan bees that overwinter better in our area. This entry was posted in Bees, Farm, Food, Growing. Bookmark the permalink.